The Skellig Rock is like the Grammy Award winning Rock Star, the Oscar winning A-lister and the Olympic gold medallist of the 100m sprint. All rolled in to one. Which can be annoying at times especially if you were at school with her. Envy aside now that we have all grown up, we in South Kerry are all so very proud of our Rock Star and rightly so. People travel from every corner of the globe to meet our charismatic star and many come just to get a glimpse of her from the shores of the Skellig coastline. 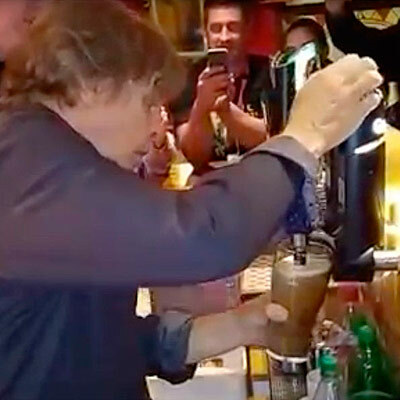 As the paparazzi scramble to get the best picture of the Rock Star it is possible to overlook the up and coming stars who share the red carpet of the Skellig Coast. With Iveragh Historical Tours, our guests have the best chance to get a personal introduction to many of these rising stars along the Skellig Ring guided by Wild Atlantic Local Mr. Muiris Walsh. 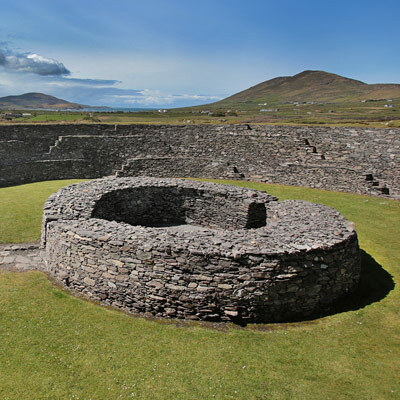 You may be drawn to South Kerry by the Skellig Rock but you will discover that there is even more than its beautiful scenery and fascinating stories to enjoy. To introduce you to these alternative and fun experiences of the Skellig Coast there are 4 more wonderful Wild Atlantic local guides that we recommend. Sightseeing along the Skellig coast is not confined to daylight. South Kerry has stunning views by night which are an astronomer’s delight. Because of the superior quality of our star filled skies, the Skellig coast has been listed as a gold tier International Dark Sky Reserve, the only one on the northern hemisphere. The night skies here are unpolluted by artificial light which means you have perfect visibility for gazing at the stars on a cloudless night. Discover the Milky Way and be in awe of this exceptional night time spectacle. Steve Lynott is an experienced astronomer and star gazing guide who can teach you about the night sky in this ideal setting. 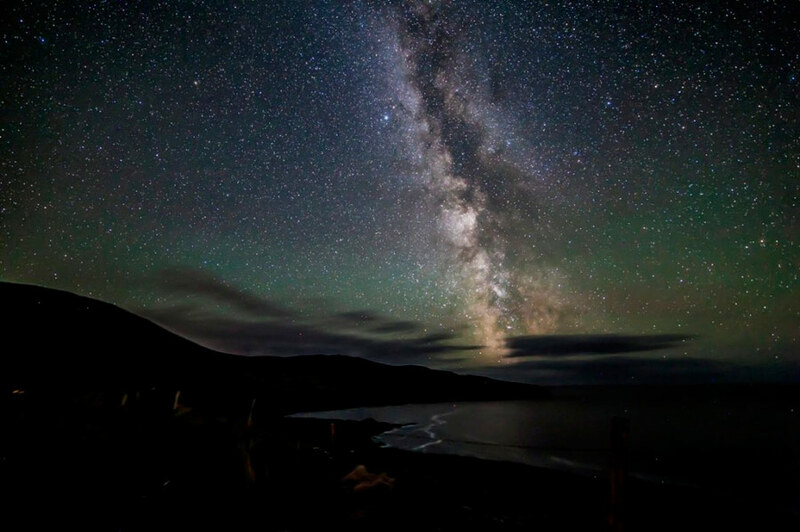 Your star-gazing guide takes his guests out on a night time tour to view the stars from beautiful locations within the Reserve such as the beach in Ballinskelligs. 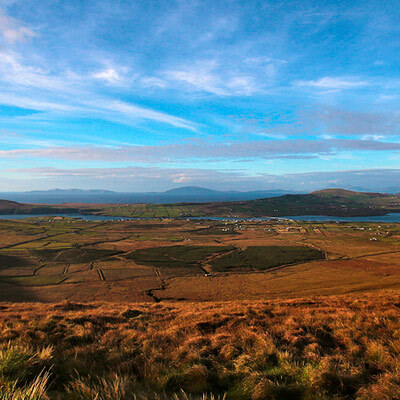 To arrange a tour, check out www.kerrydarkskytourism.com or contact Steve on +353 (0)87 4629959. John and Kerryann Fitzgerald tell the imaginative story behind how the Irish used seaweed in the most unusual ways to sustain a living. Their passionate interest in the benefits of seaweed is infectious and Kerryann’s delicious seaweed based tastings and beverages are relished on each occasion. 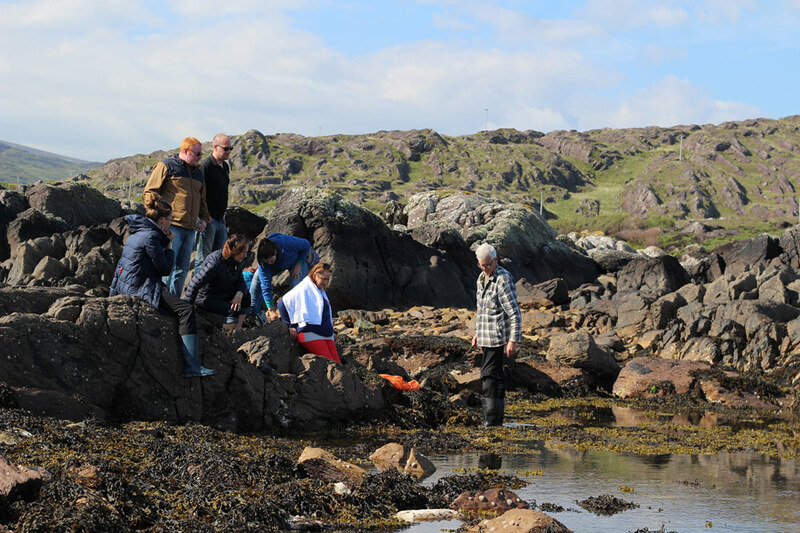 This is a real hands-on tour where you are encouraged to actively participate in foraging for seaweed in the pristine waters of the wild Atlantic way at beautiful Derrynane. 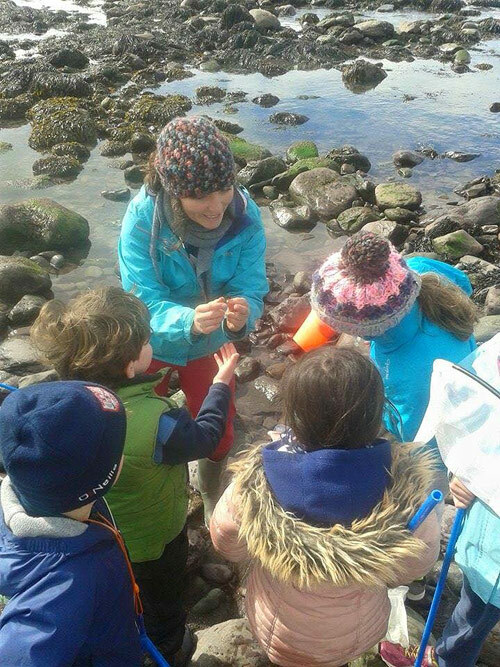 Return to the simple pleasure of picking through the shallow rock pools along the shoreline with childlike curiosity and you will wonder why this nutritional and bountiful gift of the sea was ever called a weed. To arrange a tour check out www.atlanticirishseaweed.com or contact John at +353 (0)86 1062110. Mother Natures Medicine walk . . . . .
Join Niall Hogan on a gentle stroll through the ancient woodlands of Saint Fionain in Derrynane. Niall is an herbalist, botanist, plant scientist and an engaging educator. During the walk you will be introduced to the folklore and the forgotten medical benefits of the vast array of plants that thrive in this unique and beautiful environment. Nature’s pharmacy is all around us and this is a rare opportunity to discover how to use it safely in your everyday life. To arrange a guided medicine walk, Niall can be contacted at +353 (0)87 2187744 or e-mail derrynaneherbalist@gmail.com. Explore another world of life in the sea . . . .
On the Wild Atlantic Way where land meets ocean we land-lovers can explore and discover the world of life in the tide. Lucy Hunt of Seasynergy in Waterville is a Marine Biologist who provides an array of guided shoreline walks, snorkelling tours and marine life watching trips. Lucy shares her great love and passion for life in the ocean with her guests that brings back the connection with nature so many of us have lost in our busy and oft times artificial man made world. To choose which tour suits you best check out www.lhmarine.ie/seasynergy or contact Lucy on +353 (0)87 7850929. 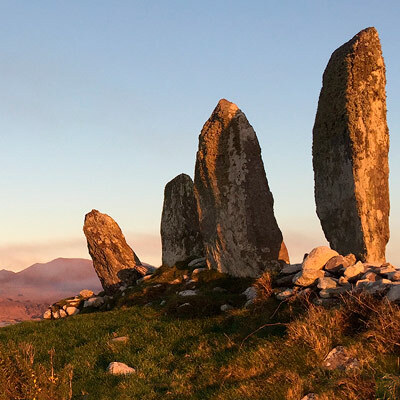 Once you have immersed yourself in south Kerry it will become very clear why the Monks of Skellig Michael chose this beautiful coast line to connect with the wonders of nature at its best – the Skellig coast is truly a constellation of beautiful places and wonderful stories full of stars.